Manufacturer and processor, with an emphasis on certified organic ingredients. Over 700 herbs and spices available. Ingredients available in quantities from 50 pounds to full containers-spot or contract. 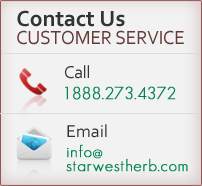 We offer complete manufacturing, processing, and custom blending services. Our modern in-house Quality Control Laboratory provides efficient microbiology, HPTLC identity, and ICP-MS heavy metal testing. Follows BRC protocol to comply with the Global Standard for Food Safety Initiative (GFSI). We first achieved BRC GFSI certification in 2015, and currently hold a AA rating. cGMP- & FDA-compliant manufacturing protocols are followed. Specification sheets, Certificates of Analysis, Material Safety Data Sheets, and other documents are available to meet your needs. 200,000 sq. ft. warehouse enables us to maintain a sizeable product inventory and maintain adequate stock levels. Ecologically & socially responsible through our use of renewable energy, in-house recycling initiatives, and support for sustainable agriculture.